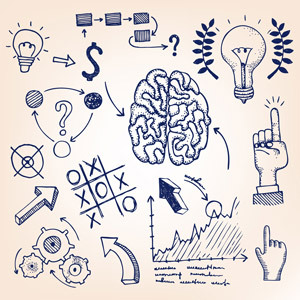 Rent My Brain and Get the Help You Need! Let’s be honest, the web can be an overwhelming place. There’s so much to learn, so much to do and it’s all changing so fast that you’re not even sure where to begin. So what often happens? You either keep learning things you can’t make work, you muddle through with efforts that don’t get results or you give up. You shouldn’t have to do this alone! You can take all sorts of marketing programs. You probably have. But even the best trainings never really get you to where you want your business to be. That’s because they’re not tailored to your specific, unique needs. But when you and I are working 1-on-1 I can help you in the exact ways you need with exactly the information you need. We can skip over stuff you’re already doing well and work with whatever has you stuck. How to use WordPress – I can help you. How to setup and use your email newsletter list – I can help you. How to get more people to your website – I can help you. How to know which social media sites are best for you, and how to use them – I can help. How to blog and get clients – I can help you. How to get that first client from your website – I can help you. How to get clients consistently from your website – I can help you. How to build and promote your first product – free or for sale – I can help you. How to eliminate overwhelm and confusion about having your business online – I can help big time. The point is wherever you’re stuck and overwhelmed with having your business online, I can help. But what if you don’t know where to even start or what questions to ask? Perfect! I wouldn’t expect you too. I work online every day. I train, teach, coach and guide people just like you every single day. So the questions you don’t know, I do. And where do we start? Honestly, we start where you are. I don’t mean that to sound trite, but it’s the truth. The difference is our perspectives. Think of it this way, you’re in a car driving down the highway. You know, mostly, where you’ve been. And you have some idea where you’re trying to get too. But you only see what’s just outside the windows of your car. And some of your view is blocked by trees, walls, buildings and other vehicles. Have you ever missed an exit on the highway? Now I see you in your car. But I’m in an airplane at 10,000 feet. I can see where you’re going and all your options. I can see many things from my perspective that you can’t from yours. So I help you choose where to steer your car so that you can most easily get to where you want to go. 1-on-1 coaching with me gives you access to my perspective, my guidance, and my knowledge. But all that means nothing if I can’t teach it. You see, what sets me apart from so many other coaches, consultant and experts is that I can teach you. I’m very comfy with the techie side of the web, but I’m not a geek. I’m very comfy with marketing and sales but I’m not a salesperson. I’m very comfy with beginners but I’m definitely not a beginner myself. The secret to you getting the help you need is that I can meet you where you are. Regardless of how comfortable or uncomfortable the web or computers are – I can meet you there. And then I can help walk you, step-by-step, out of where you’re stuck. I know this because I do it every day. My clients are everything from tech-savvy business owners who want to go to the next level to absolutely beginners who aren’t even comfortable with email. And everything in between. I meet every one of them where they are. 1-on-1 coaching IS for everyone! That means you – if you’re ready. Are you ready to have someone help you get over this next hurdle? Are you ready to overcome the overwhelm of doing business online? Are you ready to finally start getting clients from your website? Are you ready to get unstuck and have someone help you move forward? And with either option, there’s no long-term coaching obligations. Borrow me for a short time, get the help you need, and then we can be done. You’re welcome to more, of course. But you’re not locked into a long-term coaching program. Don’t keep muddling by having no idea what to do or how to do it. Contact me today and we can discuss which option is best for your needs. 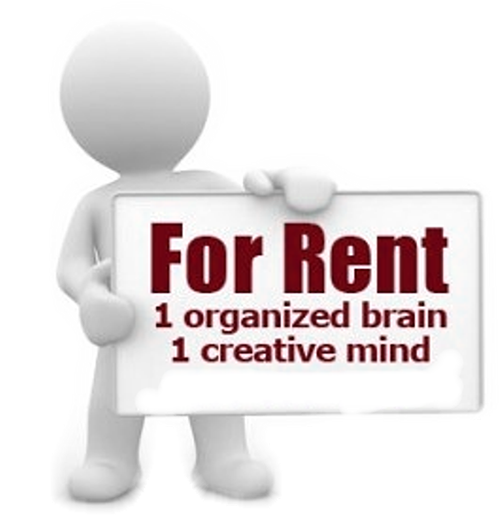 To request a Rent My Brain Series - complete this form and I'll be in touch within the next 24 hours to discuss your needs, schedule payment and welcome you in. I'm looking forward to helping you.